Specialist oil blender Millers Oils, particularly well known for its diesel and petrol additives, has been awarded the Queen’s Award for International Trade. This prestigious business award is in recognition of the exceptional international growth the company has experienced in the past three years. Millers Oils will proudly display the award emblem for the next five years. The award will be officially presented by the Lord Lieutenant of West Yorkshire. Millers Oils is dedicated to helping customers’ processes and vehicles run more efficiently and for longer. In 2009, the company decided to invest heavily in the company’s infrastructure, building a state-of-the-art technology centre to support development of advanced new oil blends for use in a range of industries, including manufacturing, motorsport and automotive. It recently launched its new Nanodrive engine oil technology at the 2012 Autosport International show. The Queen's Awards for Enterprise celebrate companies who have made an outstanding contribution to the British economy and have played a significant role in promoting enterprise skills and attitudes. Recognised worldwide, the award for International Trade is presented to companies demonstrating outstanding achievement in international trade over three years or continuous achievement in international trade over six years. Millers Oils was founded in 1887 by John Watson Miller, since then the company has displayed a talent for innovation and industry firsts. It was the first to offer diesel specific engine oil for cars and continues this tradition of innovation to earn its place as a world leader in the technology of low friction. 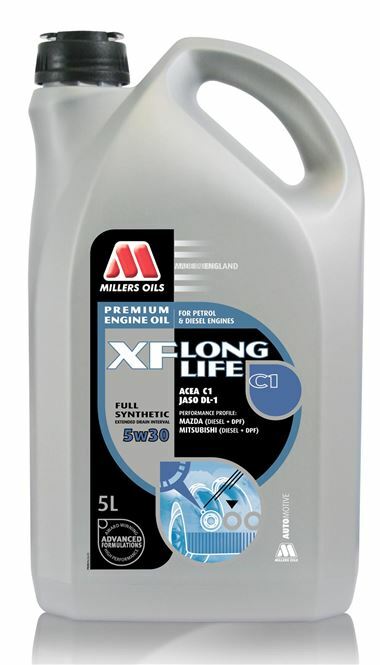 In January 2012, Millers Oils launched nanotechnology engine oils. Tested against a competitor’s oil of the same viscosity, Nanodrive recorded 33% lower friction at operating temperatures of 110-110°C. Millers Oils uses the expertise gained in motorsport and performance car development to ensure it remains a leader in commercial vehicle oils, classic vehicle oils and Industrial lubricants. Its in-house R&D capability and global distribution networks allow it to supply high technology products and services to the automotive, commercial vehicle and industrial markets in Europe, Asia, North and South America. Millers Oils is an independent company, which means it is free to source the best raw materials for its formulations. The company’s size means that it can respond quickly to new market trends and requirements.